Amazing result! We won a RAR Award for Brand Strategy Under 40 staff. 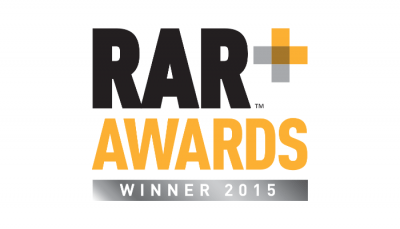 The RAR Awards are the only marketing awards based on client feedback. This is an incredible reflection of the hard work and effort put in by the team and and we couldn't be more proud of achieving this. We would like to thank all our fantastic clients who voted for us and continue to support us in delivering exciting work for them. And a big thank you to our fantastic team who keep pushing the boundaries and getting us recognised for our skill and talent as an agency. Here is a big digital high five from the Bareface Media team.